The Fulani of Nigeria Have Done it Again! Mr IGP sir, until you explain what you meant by "Communal clashes" we are not going to trust you. And these questions have occupied our hearts since your arrival to the state. not compromised already? Help us convey these words to the president, while insurgency erupted in the east the president ordered for a special military unit called Operation Python Dance. We also demand for a special military operation in Benue. I may be speaking rubbish but it's because the person who seems to be our shield has abandoned us. Mr IGP, the women have asked me to demand an unreserved apology from you for referring to Benue state attacks as a communal clash. 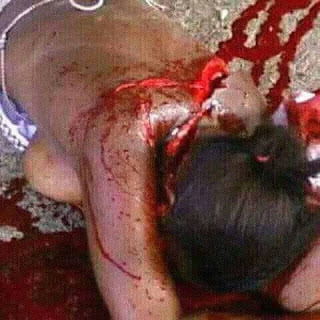 May I bring to your notice that the people killing us are not hoodlums, they are Fulanis, we know the real Fulanis who are staying at Abuja and other big cities in Nigeria, these ones are just spies. 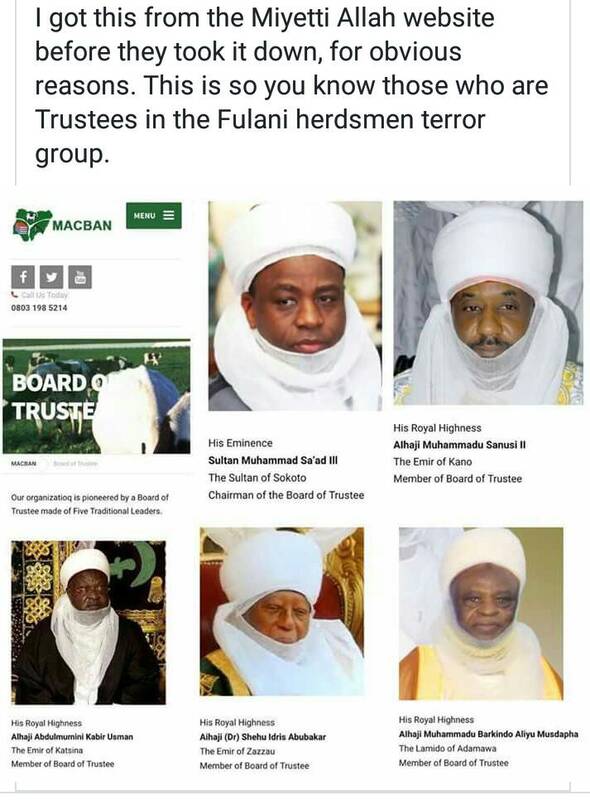 Six Fulanis are currently standing trial in the state, the people killing us are Fulanis. "Sir your coming to the State is an insult on our sensibility, your DIG said on the television that the terrain is complex to the Nigerian police, are you now coming to clear the terrain? What we need here is a military presence, we don't need you here. Audu Ogbeh is not representing us, he is representing his family. "I have been to those affected areas, these people are not looking for grass to feed their cattle, their mandate is to kill and take over. If they were looking for grass they won't carry arms with Islamic inscriptions on them. Sir don't let us be fooled into thinking that you are here to protect us, the federal government should also join us in creating ranches all over Nigeria. Colonies and grazing reserves won't work. Creation of grazing reserve is an evil plan. How do we sleep with people carrying sophisticated arms? Ranching is the only way out for us. Sir, the president sent you to Benue and you couldn't drive straight, you had to stop over at Nasarawa state? We have lost confidence in your ability to protect us"
Just yesterday, my village was attacked, my house was burnt down. Permit me to speak on the word integrity. When you were to be appointed, so many senior ranking officers were sacked on the believe that you have integrity, do we believe on this or we should say all that glitters is not gold? We voted overwhelmingly for Mr President, is he saying all that glitters is not gold? Is it an offence that we have refused to hit back? Tell Mr President that his integrity is in question. Inform Mr President that by 2019 we are going to vote against him overwhelmingly. I want to start by asking this question, is the Governor of Nasarawa state a friend or a foe? Nasarawa state has become a camping ground for our enemies, Commissioner of Police Nasarawa state, what have you been doing? IGP sir, are you here to ridicule us, if not you must arrest all the culprits before you leave. Even yesterday, the leader of Miyetti Allah said on the television that our anti grazing law in Benue is impracticable. Now that you are here, go to these affected areas and see things for yourself. 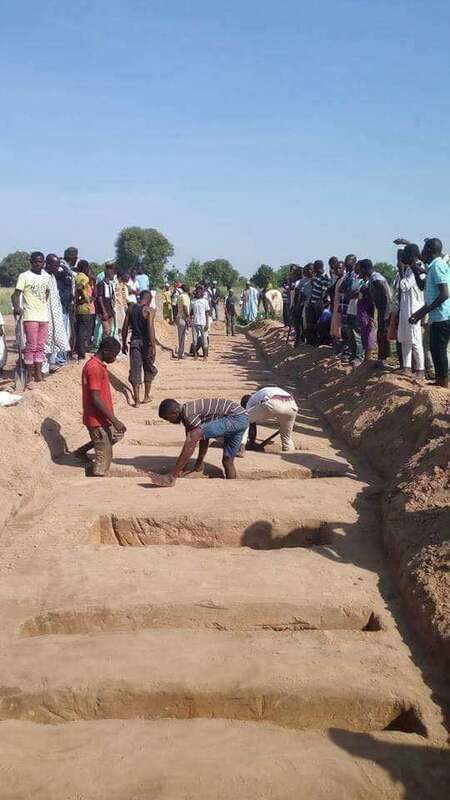 Last year when Agatu was affected and the Fulanis ran to Nasarawa state, the Benue state assembly member from Agatu reported to your office, (then you were Commissioner from Nasarawa state.) you said until you received information from the headquarters, today you are in the headquarters. IGP, in clear terms, you are not doing enough. "Sir, if the Nigerian Police can not protect us, we will exercise our constitutional right by defending ourselves. Tell Mr President that since he can not come to Benue to sympathize with us, he should forget the idea of coming here for campaigns by 2019"
"First I want to appreciate the president for sending you to Benue. I have been a priest in the most affected local government for 13 years, I have also been severally attacked myself. The president has made several intelligent appointments but who are those heading the security agencies, (the Fulanis ). 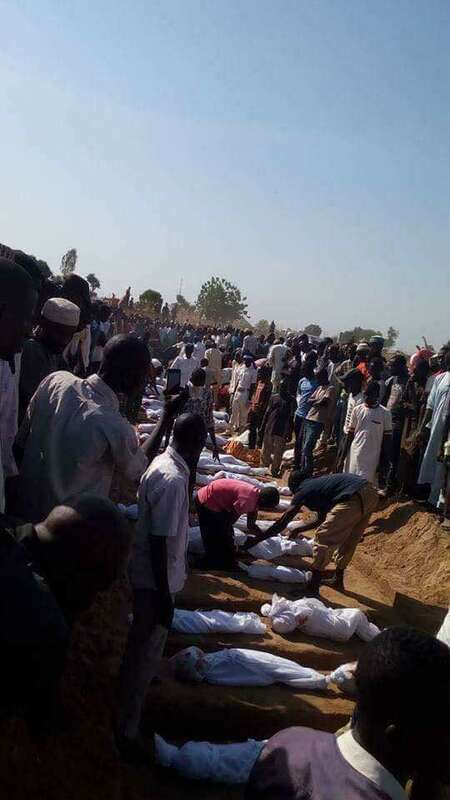 When Yusuf Buhari, son to our president had an accident, our president was devastated, here in Benue our 'Yusufs' have been slaughtered." "I want to welcome you to our state. On the controversy about your stop over at Nasarawa, I want to believe that your stop over was to commune with the Tiv people over there. I am happy you deployed troops to Benue but we are keenly waiting to see the nature of instructions that will be handed to the troops. Benue people are not interested in self defence, we are law abiding. We are promising to cooperate with you, we will however wait to see your modus operandi. It's not difficult to detect a genuine project. Be informed that in our silence we also have a God that can rise up and defend us." My dear Brothers and Sisters in Christ. We all know the reason we have all gathered here today. 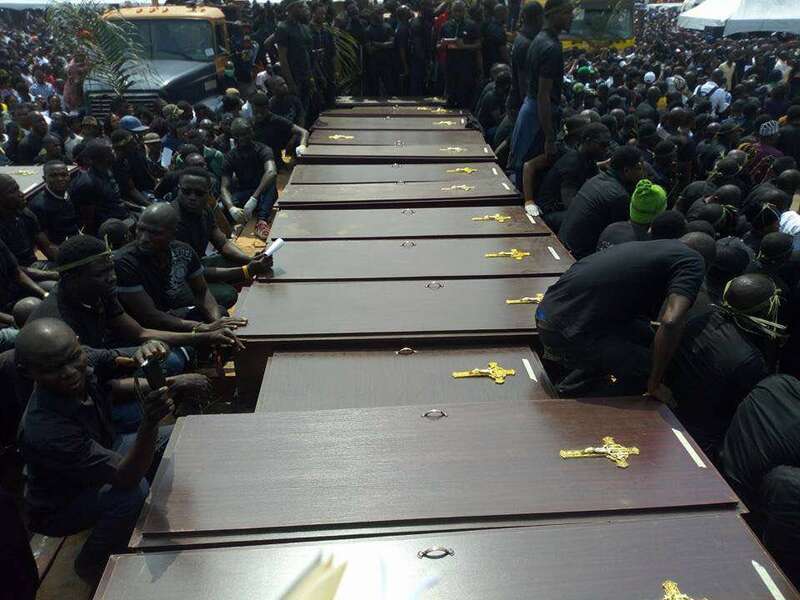 It is to pay our last respect to our brothers and sisters whose remains are before us; pray for the repose of their souls; beg God for fortitude and strength to bear the irreparable loss and solicit for peace in our State. Our deceased brothers and sisters have suffered the fate of dying gruesomely, dying under intense and inhuman torture, dying in an undignified manner for no fault of theirs. We also remember not only those lying here before us today but by extension all those who have been killed since the beginning of these attacks perpetrated by diabolic, criminal terrorists. May the blood of these martyrs bring healing to our land, may their death usher in a new dawn of peace in Benue State, may the excruciating torture they experience unite the people of Benue sate more than ever, and usher in a culture of civilization of love, true justice, peace and end the culture of impunity in our land. We also in a special way remember all those who are affected directly or indirectly due to the orchestrated massacre, but particularly those who are recovering from the injuries sustained due to the unwholesome attacks. We pray for healing and spirit of forgiveness. On this day, it is important to recall in brief, the historical antecedence of these attacks. The Benue people in different parts of the State have been under siege from armed terrorists for protracted period of time. These attacks have been unrelenting, brutal, bloody, gruesome, barbaric, and indeed unjustifiable on innocent and vulnerable peasant communities. 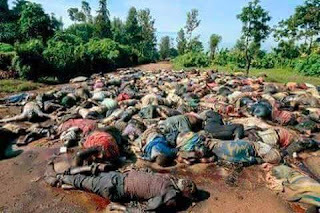 They have gradually carried the hallmark of genocide and led to the killings of our people in their thousands; several houses and farms have been destroyed, resulting in high rate of poverty and dependency, and with many children out of school. 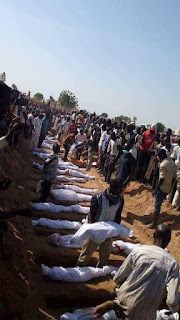 It is on record, that out of the 23 local government areas of the State, the criminal terrorists have unleashed terror in 14 local governments. 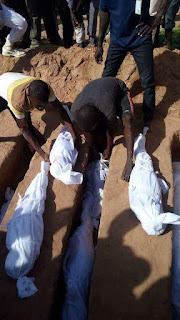 Those mostly affected in the North West Senatorial District are Katsina-Ala, Logo, Ukum and Kwande. 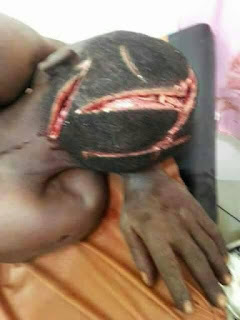 In the North East Senatorial District, they have attacked Guma, Gwer West, Gwer East, Buruku, Tarka, and Makurdi; while in the Benue South, they have attacked Ogbadibo, Agatu, and Apa. 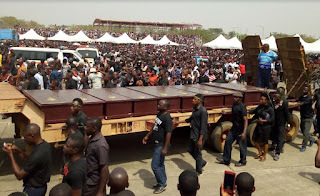 As we gather to pay tribute to the victims both living and dead of the killing rampage in our state, killings that are really genocides against a defenseless people, we have for the most part remained silent both as individuals and groups. It will be recalled that silence was maintained by the international community in the past concerning the holocaust in Germany against the Jews in 1933, the genocide in Rwanda in 1994 against the Tutsis, the ethnic cleansing against the Armenians in 1992-1995 and until recently, the failure of the world to stand up against the Rohingya persecution in Myanmar. All these, have stained the moral conscience of the world. 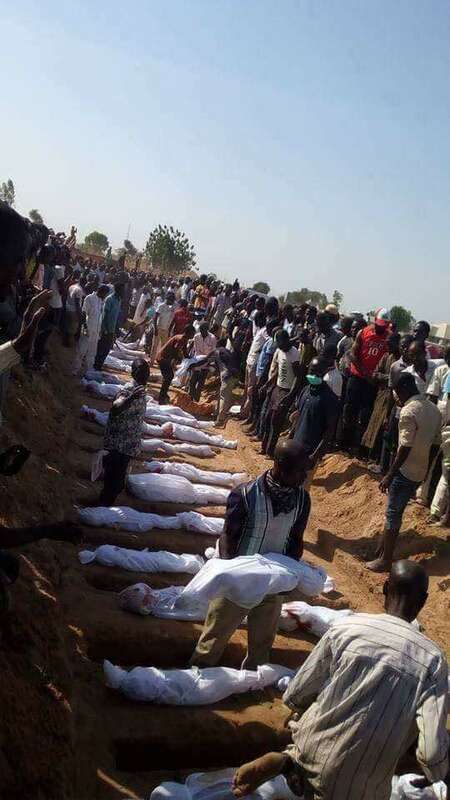 Here in our country, the government has in several instances remained silent on issues involving genocide against the people in local governments like Katsina-Ala, Logo, Ukum, Kwande, Guma, Gwer West, Gwer East, Buruku, Tarka, Makurdi, Ogbadibo, Agatu and Apa as earlier mentioned. History is replete with the sacrifices made for the nation by the people of Benue State; the sacrifices of Benue indigenes and the blood shed for the unity of the Nigerian nation. 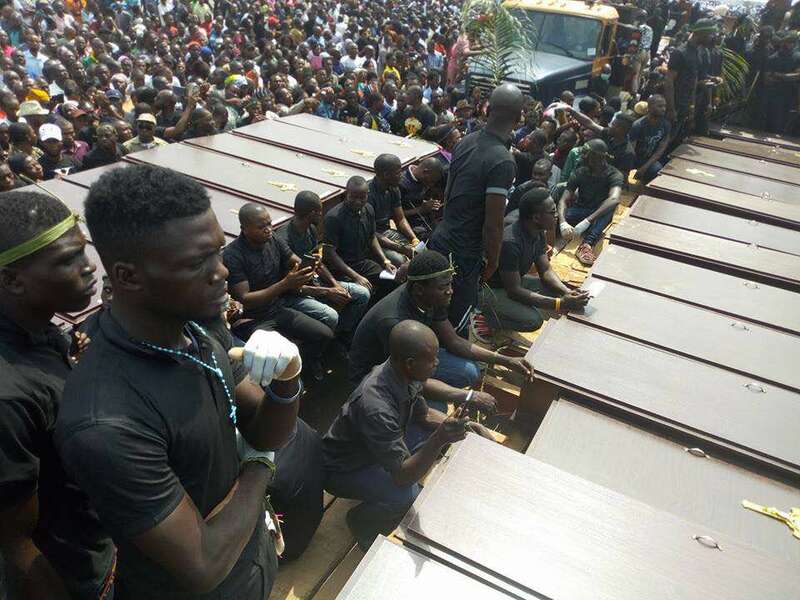 Now, it seems, our pay back for this sacrifice is the silence and sometimes seeming complicity in the senseless killings, the wanton destruction of the means of livelihood and impoverishment of our people. 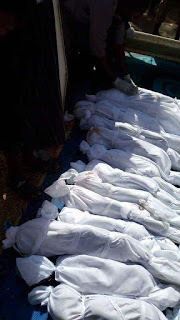 We had high hopes in 2015 general elections that ushered in a new government; expecting a nation that defends the weak against the powerful, a nation that will protect itself not only against terrorists in the North East, but also unarmed farmers, against vicious terrorists masquerading themselves as herdsmen whose expansionist territorial appetite seems to be insatiable and to the conquest of the Benue Valley. 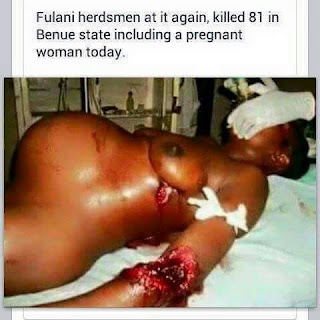 What has happened recently in Benue state may be called anything except a communal clash. It will be recalled that Benue people voted overwhelmingly for the government in power, yet what we get in return are the dead that are lying here. Lack of federal presence is exemplified in the broken federal roads from Makurdi-Gboko-Katsina-Ala, and Otukpo-Enugu that cast doubts on responsible leadership or leaving one to wonder whether there is any government in this country at all. Man’s inhumanity to man is an old phenomenon; right at the beginning of the Bible, we are told that Cain killed his brother Abel. Every normal person who reads that story is shocked by Cain’s wickedness, and each time such a brutal and vicious act is repeated, it is difficult to understand why God allows such things to happen. In 2 Maccabees 12: 43-45, Judas Maccabeus led his army in battle, and discovered afterwards that God permitted some of the Israelites to be killed. Time and again, precious lives and property have been destroyed in innumerable numbers in Benue state. 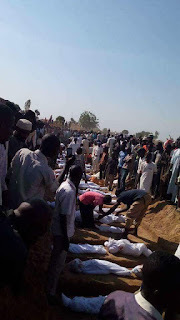 Again one will ask why God would allow such outrageous massacres to be carried out repeatedly. Brothers and sisters, while it is proper to raise this question, we are here not to attempt to answer the question or how God might judge the moral grey areas of human acts. We are gathered here to pray for our innocent, defenseless and vulnerable brothers and sisters, including children who were brutally murdered in cold blood. The need to pray for the dead is highlighted in 2 Maccabees 12: 43-45. The passage shows that the pious Jews believed in praying for the dead; a practice, which proves that there is life after death (cf. Lk 20:27). It shows that praying for the dead was done prior to the time of Christ, and the Letter to the Romans states categorically that “we do not live to ourselves, and we do not die to ourselves. If we live, we live to the Lord, and if we die, we die to the Lord; so then whether we live or whether we die, we are the Lord’s” (Rm 14:7-8). 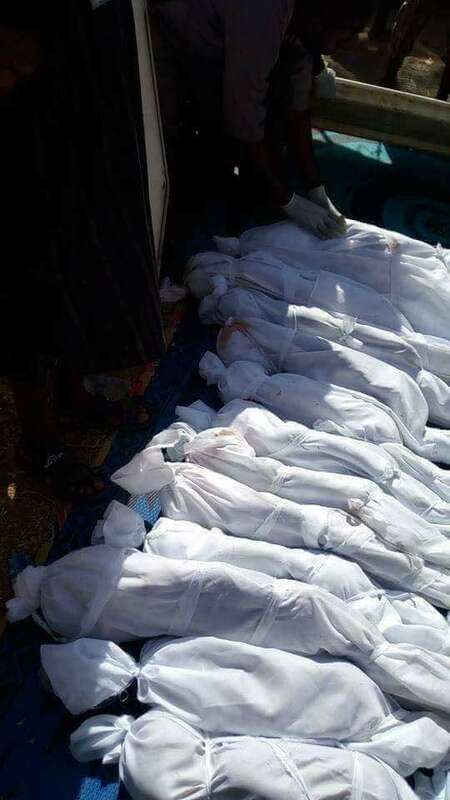 Indeed, the early Church continued the practice of praying for the dead, and hence it is praise worthy that we are gathered here in huge numbers to commend the souls of our slain beloved brothers and sisters to the Lord. 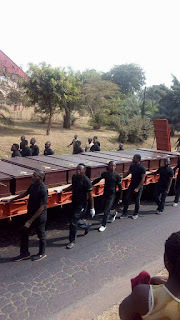 As we pray for the peaceful repose of our Benue martyrs, past and present, let us be consoled by the Maccabean text that affirms belief in life after death. This consolation is intensified in the Letter to the Romans 8:31-39, Paul is astounded by God’s unconditional love for all humankind and he offers three assurances, namely; i) that if God is for us, there is nobody or nothing that can be against us; ii) there is no condemnation of anyone, because in the death and resurrection of Christ, we are all justified (Rm 8:33-34); and iii) nothing can separate us from the love of God, be it tribulation, anguish, famine, nakedness or peril, persecution, the sword or death (Rm 8:35-39). In this regard, death does not separate our slain beloved brothers and sisters from God’s love. We will always be led to victory in Christ because God is for us and there is no separation in our relationship with God by death. This passage should, therefore, comfort and console the immediate family members and relatives of our deceased brothers and sisters; indeed all of us. In Jn 11:1-44, Mary and Martha separately say to Jesus “if you had been here my brother would not have died but even now I know that God will give you whatever you ask of him” (Jn 11:21, 32). This is our conviction and prayer too that God should grant eternal rest to our slain beloved brothers and sisters. 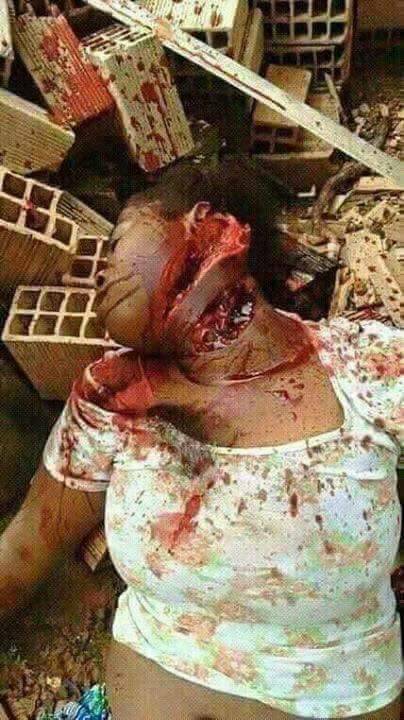 i. Fulani Pastoralist: The Fulani man that we know was at peace with his neighbour not criminal and diabolic. 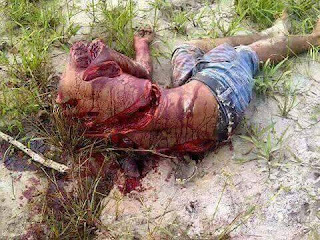 The Fulani man that we know used a shepherding stick but not an AK 47 riffle. Of course society is dynamic and keeps changing. So a Fulani man may not only walk on foot but move on a motor bike; he not only drinks fula de nono but drink beer and eat pepper soup. These are indices of a changing society. Hence, we call on the Fulani man to adapt to the modern world view and engage in activities that will be beneficial both to him and to society in general. ii. Cattle Colonies: Recently, it was on the news that the Federal Government through the office of minster of agriculture desires to introduce an interim measure to forestall the regular clashes through the establishment of Cattle Colonies. We wonder if the Federal Government has blessed the anti-open bill that was recently passed into law in Benue state and assisted in providing a more sustainable measure for its implementation. While we applaud the good intention concerning the cattle colonies, we call on the Federal Government to animate the full force of the law on the anti-open grazing bill in Benue state. iii. Anti-Open Grazing Bill: Given the changing trends of time, the Benue state Government and the Benue House of Assembly have after consultation with the Benue people passed into law the anti-grazing open bill. This Bill was received by the people of the State with a popular acclamation. We have to acknowledge that this is world best practice as far as care for our people is concerned. Unfortunately, we doubt if the bill has enjoyed the full support of the Federal Government. All we want is ranches. Let there be ranches and there will be peace in the land. This is our appeal. We commend our Holy Father Pope Francis for his singular response to the plight of Rohingya people. For our own, we commend the sons and daughters of Benue home and abroad, for their efforts to raise international awareness about the persecution of our people and their efforts towards lasting solution to this recurrent crisis. While we notice the rapid response from non-governmental organizations, and other agents, when these happen, these services regrettably most often come in the aftermath of the mishap. 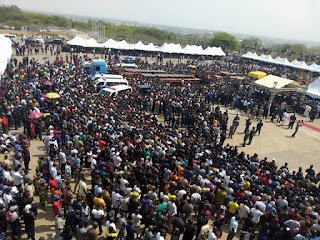 We are equally grateful to Nigerians who genuinely angry and have expressed solidarity with the Benue people. We call on the various governments and agencies in our nation to put in place practical measures to prevent the re-occurrence of this crisis. We recognize the unflinching efforts of the Benue State Government under the leadership of Samuel Ortom to protecting lives and property. We commend his Amnesty program that recovered about 700 arms and ammunitions and over 800 youths giving up arms. We also acknowledge the desire of the Benue State government for her efforts towards constant peaceful-coexistence and his support in the passing into law anti-open grazing bill. On this note, we also appreciate the efforts of the traditional rulers, security agencies, nongovernmental organizations, media, relief-service providers, Church bodies, and numerous men and women of good will who are offering one service or the other towards the our sustainable peace in the land. The people of Benue cannot be forgotten in the history of our nation. Our contribution to national growth cannot be overemphasized. In spite of all odds, we are committed in keeping the spirit of Benue alive. These attacks are nonetheless ways of crippling our economic and political force and therefore making us extinct as a people. We hereby condemn in totality the inhuman, brutal, barbaric, gruesome murders of our people. We maintain that no one has any justification to take life. We reiterate our commitment to the protection of life from the moment of conception to natural death. All we desire is a nation, we would all be proud of, a nation where like the message of Christmas we have just celebrated reminds us the instruments of war, will become instruments of peace as prophet Isaiah says: “he shall judge among the nations and shall rebuke many people and they shall beat their swords into ploughshares and their spears into pruning hooks. Nations shall not lift up swords against nations neither shall they learn war anymore (Is 2:4). We were heartened to hear at the advent of our new government, the words of our President ‘he belonged to everybody and to nobody’. Ultimately, it is God who brings peace and we have to turn to him to bless our land with lasting peace. Amen. 1. May the Spirit of Benue arise ! 2.May the spirit of Nigeria arise! 3. May the spirit of the middle belt arise! 4. 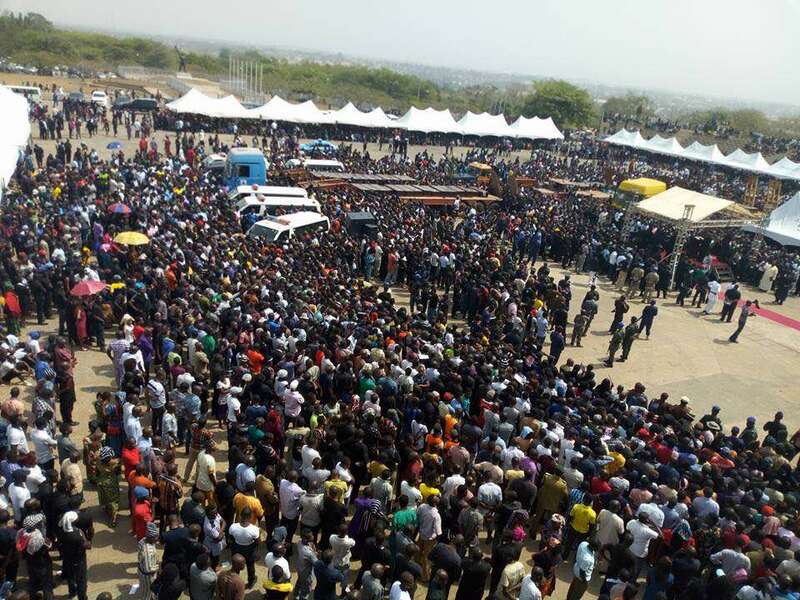 The spirit of Benue must not die!